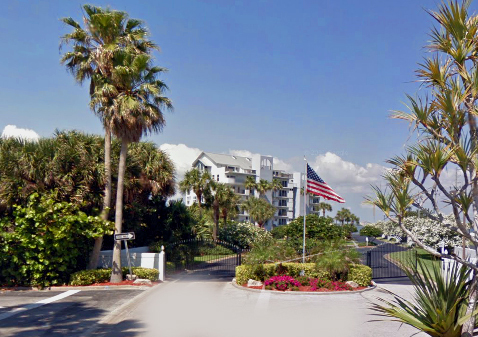 Wexford in Melbourne Beach is a gated ocean to river community featuring high-rise riverfront condominiums, one-story courtyard townhomes, and two-story riverfront townhomes. Exceptional amenities include a beautiful riverfront clubhouse with a pool, expansive river pier, tennis courts and a beach access with boardwalk crossover, picnic area and restroom facilities. 0.1 miles north of Driftwood Plaza (Publix). Wexford of Melbourne Beach is located in the upper south beaches. 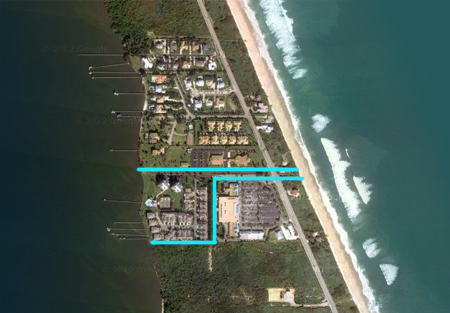 Enter community from Highway A1A via gated Ballyshannon Street. Info: Landscaped entry, nicely maintained, etc. 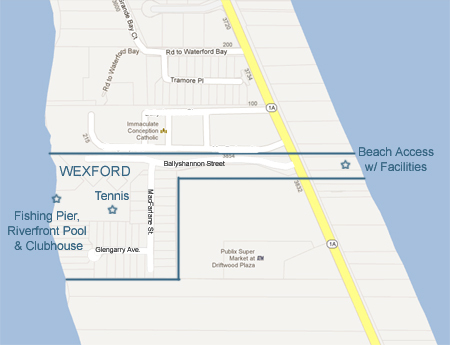 Beaches: Wexford features a dedicated beach access across from the community entrance. Home styles – One story townhomes with 2-car garages. Riverfront townhomes are two-story. Hi-rise condominiums are in two 7-story buildings with parking underneath.